About a year-and-a-half ago I joined the school board of this small town (pop. 220-something) for reasons that pretty much boil down to the fact that I was asked. I might have declined, but I was new to town and wanting to make a favorable impression, and maybe even figured something good might come of it, if not for the community, then at least in relation to this idea I’ve long had that some day I’ll roust myself into being of service to a cause greater than myself. Frankly, I’m not a great school board member; I’m too easily frustrated by the layers of bureaucracy, overwhelmed by the reams of paper and endless numbers. It all seems so incredibly and needlessly complex, though it’s not like I’ve got any better ideas of how to do it. Once upon a time I might have thought I did, but the older I get the less I seem to know, which is exactly the opposite of how I thought getting older was supposed to work. Sometimes I think of all the years I’ve spent looking forward to the wisdom I thought was due me, and here I am, still looking to collect. Because our town is so small, we don’t have a school of our own; instead, the town pays tuition at the accredited institution of choice. This has allowed our older son to attend school part-time, through a self-designed study program at a high school about 30-minutes from here. It’s been good for him, I think. He built an electric guitar with an amazing builder in Burlington who also happens to be a published author and whose father is the former Vermont Poet Laureate, which really has nothing to do with anything, but kinda strikes my fancy. He studied climate justice with an activist friend of ours. He did a bunch of other stuff, too, centered mostly around music. I never figured one of my children would want to attend school, and this was foolish of me. Not so much in the specifics – attend school, not attend school – but in my lack of awareness of how profoundly things can change, and how quickly. As someone said to me recently, we are always arising in fields of contingencies. I like this saying, in part because I know it to be true, and in part because it acknowledges what could be seen as a difficult truth (life is unpredictable/changeable/uncertain) in a very gracious and even graceful way. I mean, one could say something like life is unpredictable/changeable/uncertain and you just have deal with it, which would also be true, but to me isn’t quite the same as saying we are always arising in fields of contingencies. I thought about this last night as I bucked firewood, the daylight draining from the sky. The last day of July. Then, suddenly, surprisingly, it was raining, and I could see the sun behind it, that beautiful, slanting, late day sun, the raindrops illuminated like a million little light bulbs in the sky. I was soon soaked through and on the verge of being cold, so I worked harder, but the rain quickened its pace, and I could not seem to outwork it, and now I was truly cold. So I shut down the saw and put it away, shucked my rain-and-sweat-wet clothes, and ran for the pond to rinse myself clean, the pile of still-uncut firewood left for another day. Music: Daniel Johnston. Must be seen to be fully appreciated. Yes, that’s the guitar he built. And yes, it’s a tele with P-90’s. He has two amps… an old Laney and a Fender. Both tube. He wants to start building pedals next. Would just point out the poetry that happens here. After commenting on the phrase “we are always arising in fields of contingencies,” you show us (in the last paragraph) the reality of that fact as it unfolds in your life. Will, you beat me to saying it way better than I would have. Ben, thanks, enjoyed this one. Thank you, Kristina. Hope all is well with you and the kiddos. I like that you’re an observant reader. Always enjoy your posts Ben, thank you. Well, even if he can’t play a cord, he looks the part! Made my think of the Bread song, Guitar Man, the instant that I saw this picture. Given your outspoken condemnation of traditional education, you seem like the most unlikely of candidates to be a member of a school board almost anywhere. But for better or for worse, Vermont is a different sort of place, unlike almost anywhere. Well, I don’t feel quite so outspoken or condemning as once I did. Yep, Fin’s got the look down pat. And fortunately for us, he can play lots and lots of chords! A wonderful photograph of what appears to be a well-nourished rocker. I used to work with residents of nursing facilities. The amount of wisdom there was astounding and all there for the asking. A common question I had particularly for the most elderly there was at what age did they have life all figured out. Every single person said some variation of “you never have life figured out, you just know yourself better.” Some even admitted that life got more baffling rather than less as they aged but, again, it was tempered with the greater self-knowledge. I think this is something akin to your point about the lessening of certainty that comes along with age. I agree. I am constantly baffled by the “outside world” (when I choose to pay attention) but I know myself, my family and what matters to us and that makes it a whole lot easier to let all the rest of it just go. Can’t get over how grown-up Fin looks. I have been reading your blog for a looooooong time. So how are Vermont’s school districts broken up? In KY, they are by counties for rural areas, and only a couple exceptions to that for the largest city, Louisville. (But KY has some of the smallest counties in America, since way back when, nobody should have been expected to live more than a day’s ride by horse to their county seat.) I don’t think there is a county that does not have a school, even if all grades K-12 are in the same building for the least populous counties. Each rural county here would have several little towns like you describe. I can’t imagine one of our little towns tasked with running a school district, even if it is only to ensure each kid is allowed a tuition in the area. How many folks are on your school board? Maybe I’m misunderstanding something? Is the tuition to only public schools, or can it be used for “continuing education” courses outside of regular curriculum, put on by various groups like the Ag Extension or local community colleges, etc? Our districts are regional, too. Our town doesn’t run an entire district; we’re part of the larger, regional district. There are only three of us on the school board, which is plenty, I think. If we had our own infrastructure to manage, it’d be a whole different story. Honestly, it’s a little unclear to me what can be covered… all I know for certain is that it does have to be an “accredited” institution. Also, it doesn’t include higher ed, so community college probably wouldn’t be accepted. 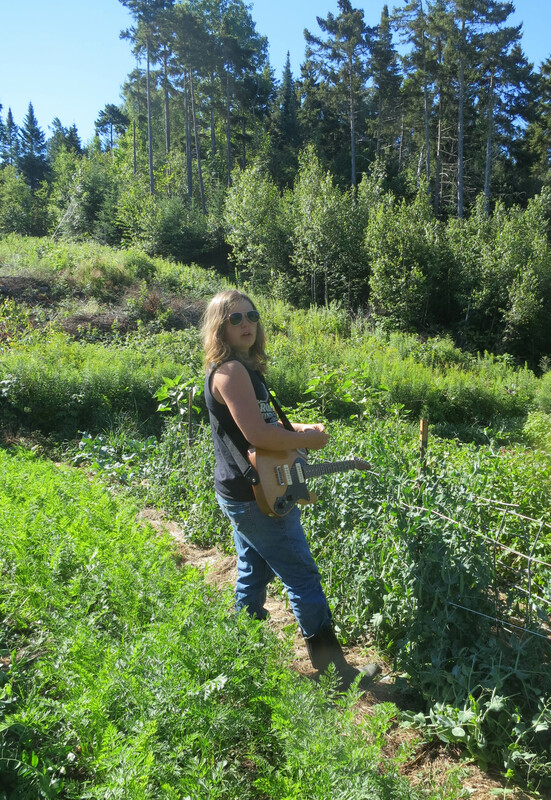 I have a hard time taking any guitar player seriously, who hasn’t had long hair…. I love Daniel Johnston, and I would never have heard of him without your recommendation!